Sarah qualified as a Solicitor in 2006 and has worked at CFG Law since 2004. Sarah did her training contract with us and has moulded her work life and ethics with the company’s values of prioritising client care and exceptional service. She was promoted to the role of Associate Solicitor in 2016 and is also an accredited Senior Litigator of the Association of Personal Injury Lawyers (APIL). Sarah has extensive knowledge and experience in handling claims after serious road traffic accidents. She has successfully claimed damages for clients with significant psychological injuries following a road traffic accident. Her experience in this area means she can truly empathise with clients and will do her upmost to ensure they receive the treatment they require for their injuries. As psychological injuries can sometimes be difficult to diagnose, Sarah believes it is important to get clients in touch with medical experts as soon as possible to put in place a treatment plan and try to alleviate their symptoms, so they can get their life back on track. As well as psychological injuries, Sarah has vast experience in dealing with serious orthopaedic injury claims. Rehabilitation is key to recovery following a serious orthopaedic injury and Sarah’s knowledge in this area means she can quickly get clients the help they need, including early, in-depth assessment of injuries. She can arrange private medical treatment to help with recovery, whilst securing early interim payments to cover the cost of rehabilitation. Often, the support her clients are receiving elsewhere is not adequate to improve their recovery, so this extra help is important to improve their quality of life. Sarah also assists with brain injury claims. These claims are often extremely complex and after a brain injury, clients and their family are often confused about what to do next. Sarah supports these clients and their loved ones, ensuring that they know what is going on with their claim at each step. Arranging support and rehabilitation after a brain injury is critical and Sarah understands the importance of getting clients the help they need; whether this is arranging for specific treatments, or helping them to get back to work and adapting to life with their injuries, Sarah has experience of getting clients the help they need. 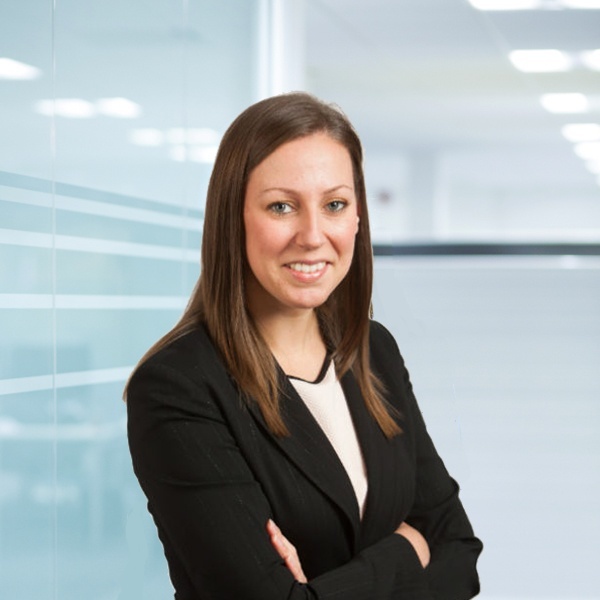 Sarah believes it is vitally important to ensure everything is explained and discussed with clients so they can make fully informed decisions about their claims. She also explains and talks with family members of her clients, to keep them in the loop and ensure that they understand what is happening with the case as well. She stays in regular contact with all of her clients, promptly returning calls and emails, as well as visiting her clients at home to ensure they receive the best possible service. Sarah has recently been fundraising for The Children’s Trust by participating in the Great Manchester 10k Run as part of the CFG Law Team. The Children’s Trust is the UK’s leading charity helping children with brain injury. They provide expert rehabilitation, education, therapy and care for families across the whole of the UK, from their specialist centre. Sarah has also previously raised money for Aspire by running the London Marathon. Aspire offers practical support to the 40,000 people living with a spinal cord injury in the UK, helping them to lead fulfilled and independent lives.